Don’t be a newbie. Join Tourbie. 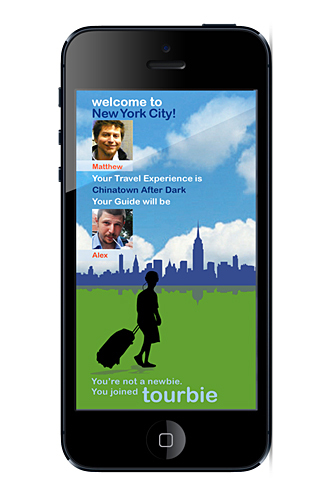 Tourbie is a social network designed to connect young visitors to unfamiliar cities with hip, knowledgeable local guides who can offer a range of intriguing travel experiences. 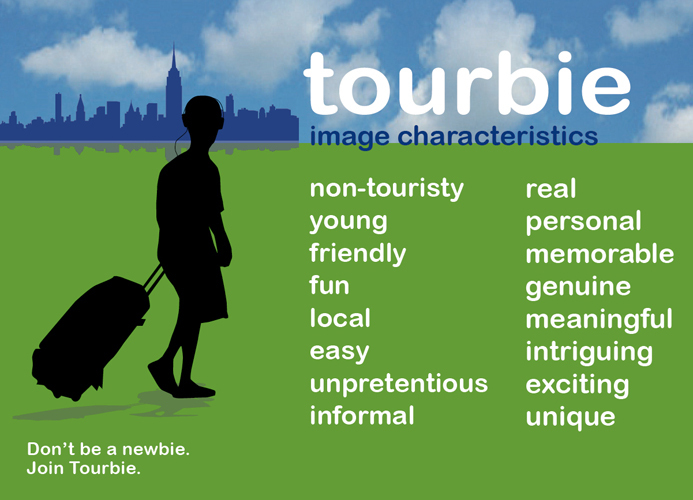 To help Tourbie achieve its mission of creating a global travel network that promotes collaboration and sharing of information peer-to-peer, Visual Language worked with the founders to develop a suite of distinctive image characteristics. Four options were presented on a mockup interface that illustrates how the logo and other elements could appear on the home page with a menu of sample travel experiences. The ‘newbie’ and ‘transit T’ options are taken to the next level, the site map. The ‘newbie’ wheels his touristy suitcase to the phone app prototype. He’ll learn from the locals, soon enough.